The Sacrament of Confirmation is an amazing opportunity in our faith journey! Through this Sacrament we are wholly initiated into the Catholic Church and receive the gifts of the Holy Spirit, which better enable us to live out our faith to the fullest. With this milestone in our journey comes great responsibility and this sacrament should not be taken lightly. Our Confirmation program is open to high school students age 14 -18. There is a $135 sacramental fee for the Confirmation classes. Scholarships are available. The fee also includes registration for the November and March retreats. Listed below are the expectations required of the Confirmandi (those preparing for Confirmation) by the Archdiocese. To register, please read through the expectations carefully, sign, and return to the youth ministry office by October 7th at the latest. If you have questions, please feel free to contact me. Teen catechist for Faith Formation, RCIA, Children’s Liturgy of the Word, etc. 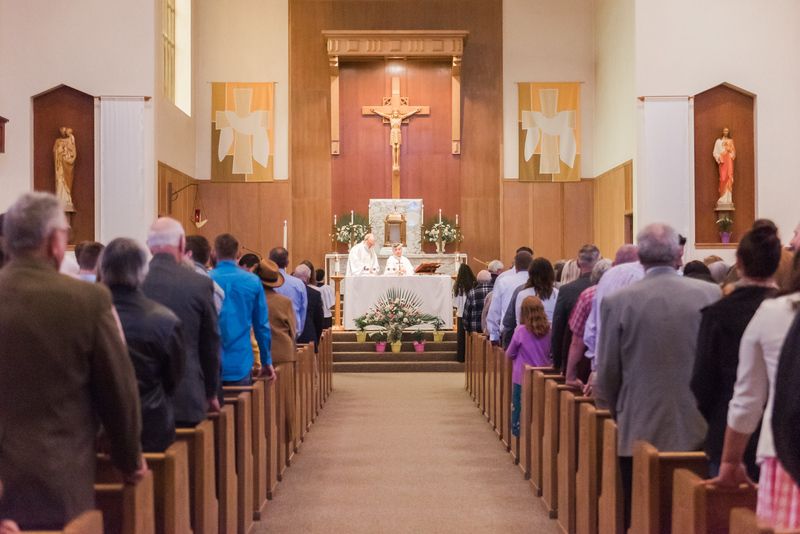 Regular Mass attendance – Confirmation initiates us into full membership with the universal and local church, insisting on a personal commitment to attend Mass each Sunday and Holy Days of Obligation; a willingness to contribute to the Eucharistic celebration by praying, listening, and singing. Monthly meetings – following Mass, (sponsors and parents are always welcome and will be expected to attend periodically). Confirmandi will miss no more than 1 class. Complete assignments – at each monthly meeting Confirmandi may receive a short reading and/or discussion questions to go over. Turn in copy of Baptismal certificate to Carolyn Rich at the office by Dec 9, 2018. Attend 2 retreats – see schedule below; November and March. Interview with Confirmation team – all confirmandi will set up time, during Lent, to meet with a member of the Confirmation team and be expected to know Apostle’s Creed, Seven Sacraments, Gifts and Fruits of the Holy Spirit, Ten Commandments, and Our Father. Lastly, continued involvement in parish life through one of the above-mentioned activities under year 1 requirements is expected.